I am completely and utterly obsessed with Harry Potter. Obsessed! 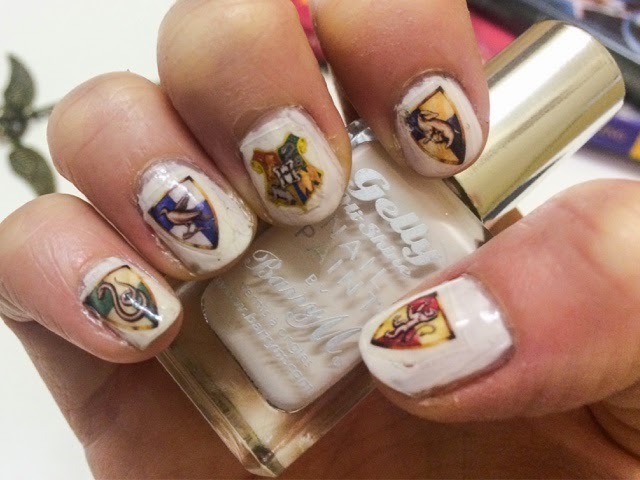 I listen to the audio books on repeat, can quote the films word for word and have heaps of HP themed art and memorabilia round my house (which my boyfriend just loves…) So I am pretty surprised that in the year and a half since I’ve been doing Midweek Manicure posts it’s taken me this long to bring some Harry Potter nail art to the emsypickle table! 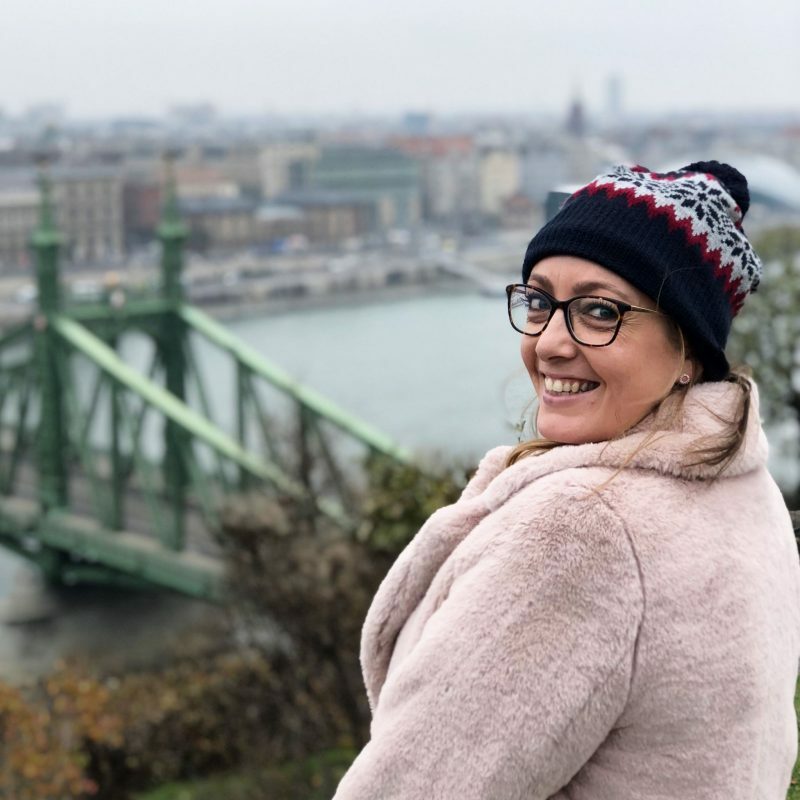 I visited the Making of Harry Potter WB Studios again last weekend (amazing) and with it being the first ever Harry Potter Book Night tomorrow I thought it was finally about time! I saw these nail decals on eBay and just had to buy them! I got a multipack of each of the four house crests along with the Hogwarts crest, but you can also buy full sets of each house or just the school crest if you prefer. They’re not the best nail stickers I’ve ever used as they basically come printed on a huge sticky sheet rather than being individual stickers which makes them really fiddly to remove, and they also rip quite easily. Gah! They images are also quite fuzzy and not very sharp. 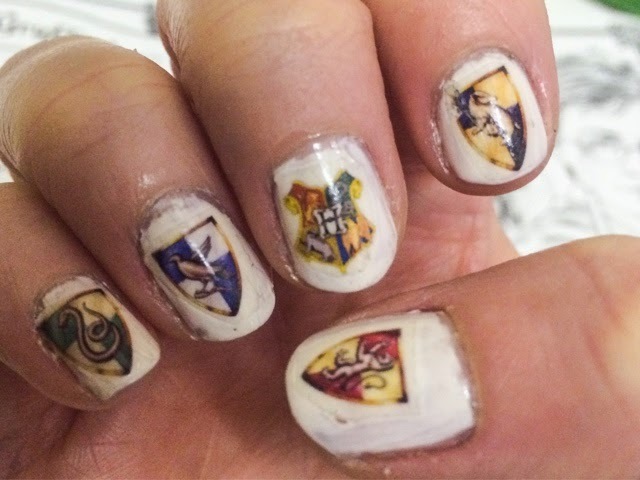 I had originally planned layering these over a matte black polish to match the Hogwarts robes but unfortunately the stickers didn’t show up at all! I nearly went full Slytherin and lost my temper, but I embraced my inner Hufflepuff, calming myself before reaching my full Ravenclaw potential and carefully reconsidering my options. 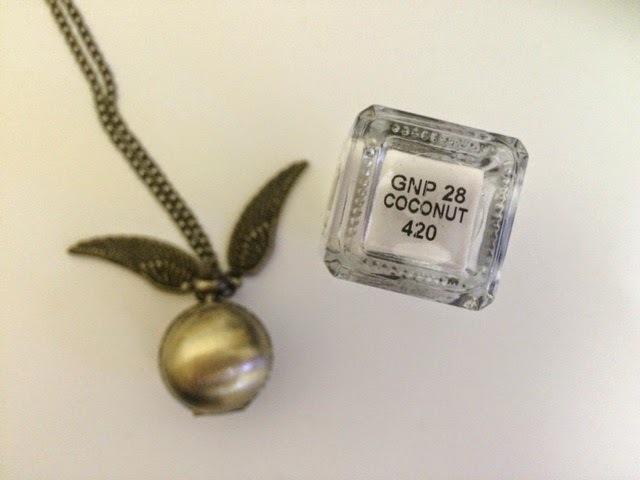 I decided to be loyal to my original idea and not throw the towel in (so Gryffindor of me) and decided to use Barry M Gelly Hi-Shine Nail Paint in Coconut for an off-white base to mirror book pages. It took a long while to get the stickers onto my nails and I used up most of them as the little blighters kept ripping or sticking in the wrong place. This also made it hard to cut around the edges of the sticker neatly and closely as you needed a certain amount to hold onto to peel it off the backing and give room for that to rip rather than the design itself. They’re definitely not the easiest or neatest stickers I’ve used! However, placed over a white base the colours of the crests come up quite brightly which is good. 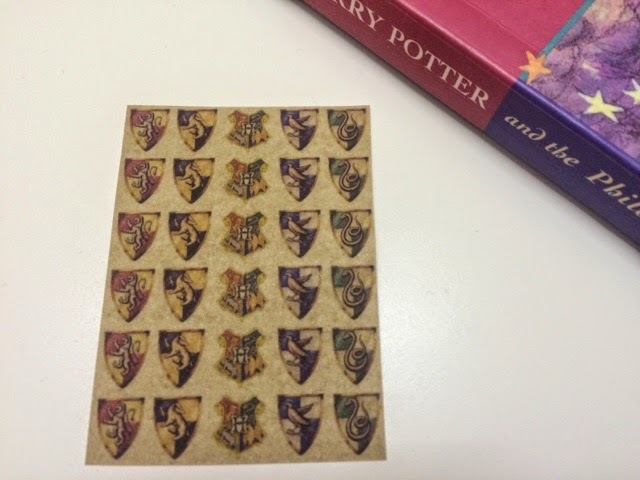 They’re also quite a subtle way of pledging your allegiance to the Potter as the stickers are quite small and unless people look closely they probably won’t be able to tell what they are – so if you don’t want to go loud and proud these are good designs for you! 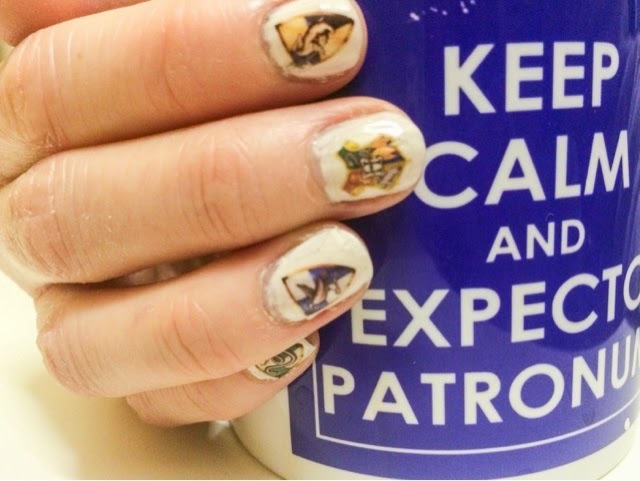 I’m glad I finally forayed into the magical world of Harry Potter nail art, but will definitely be looking at other ways of doing this in the future. These stickers were very tricky and time consuming to apply, and I don’t think that the quality of the final look is worth it. At least they were only £2.99! If you ever do use these I recommend whacking the Half Blood Prince on in the background and have dreamy Ron as a distraction from how annoying they are to apply, and how long they take! 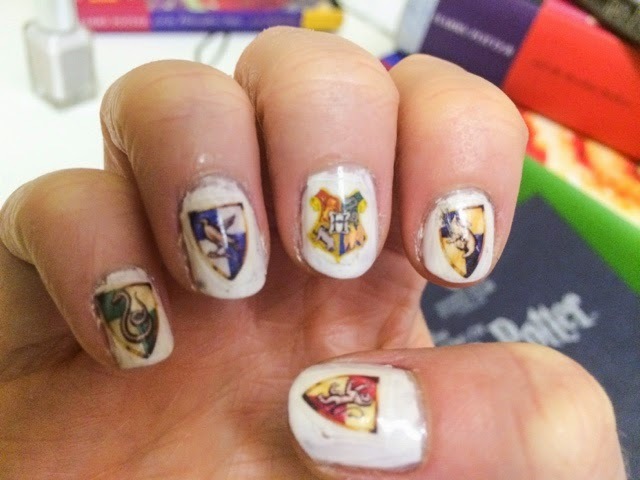 I’d love to see any Harry Potter themed manicures you’ve done so do leave me your links in the comments below for me to check out! 30 Day Snap | Day 7 – THE SATURDAYS!! !